The museum in Collins Barracks will house the outfits as symbols of the Marriage Referendum. News 17 January, 2019 . Written by Peter Dunne . 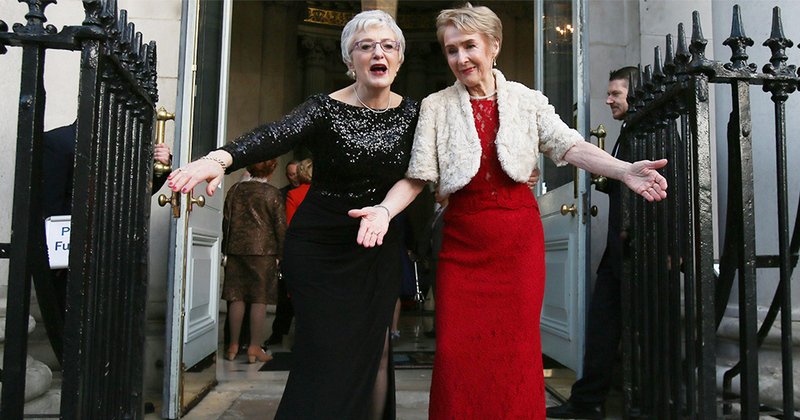 The dresses worn by Minister Katherine Zappone and Dr Ann Louise Gilligan on their wedding day have been donated to the National Museum of Ireland as symbols of the Marriage Referendum. In a fitting move, the outfits the Marriage Equality pioneers wore as they celebrated the historic success of decades of struggle to achieve a human right will now be housed in Collins Barracks as a visual representation of the journey. Minister Zappone and Dr Gilligan had previously married in Canada in 2003 and fought tirelessly for their marriage to be recognised in Ireland. One of the curators for the National Museum, Brenda Malone, said: “As the wedding dresses become part of the NMI collections, they represent Katherine and Ann Louise’s love and life together, and their personal struggle for equal recognition. In a wider sense they also represent the Irish LGBTQ community’s struggle for equality, and the Irish nation’s story of social change. The NMI is committed to recording and preserving these stories”. The outfits will be part of the National Museum’s contemporary Ireland collection which highlights items regarded as of national importance. 17 January, 2019 . Written by Peter Dunne . ← Our Favourite Queer 10-Year Challenges!